The Signal indicator shows a green signal – and the bar closes. For entry Sell wait that Doda Stochastic indicator cross downward from oversold zone. 60 min time frame 15-20 pips. Share your opinion, can help everyone to understand the Countertrend forex system. 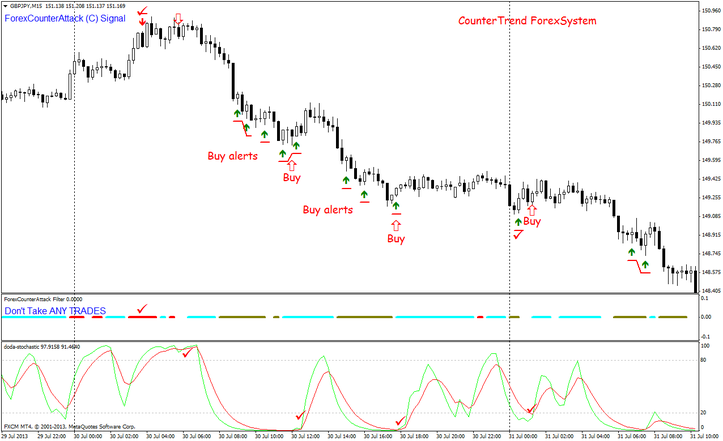 Countertrend Forex System: with Doda Stochastic indicator.